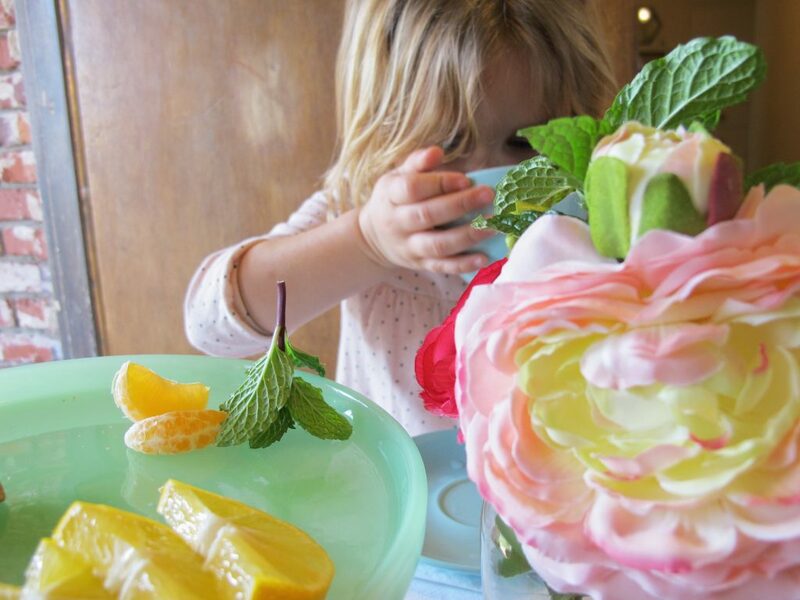 Tea time Archives - SimplyMal - God, Family, Crafting! I don’t know about you, but I love tea, and tea time is seriously the best time! 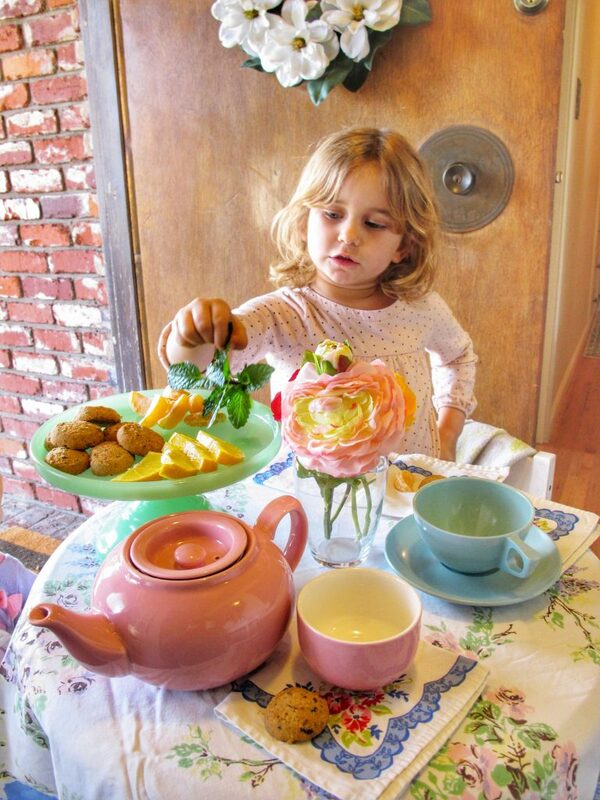 Growing up, having tea parties was one of my best memories! I would fill my little tea pot with all the peppermint and fennel leaves I could find and go hide out in my playhouse! 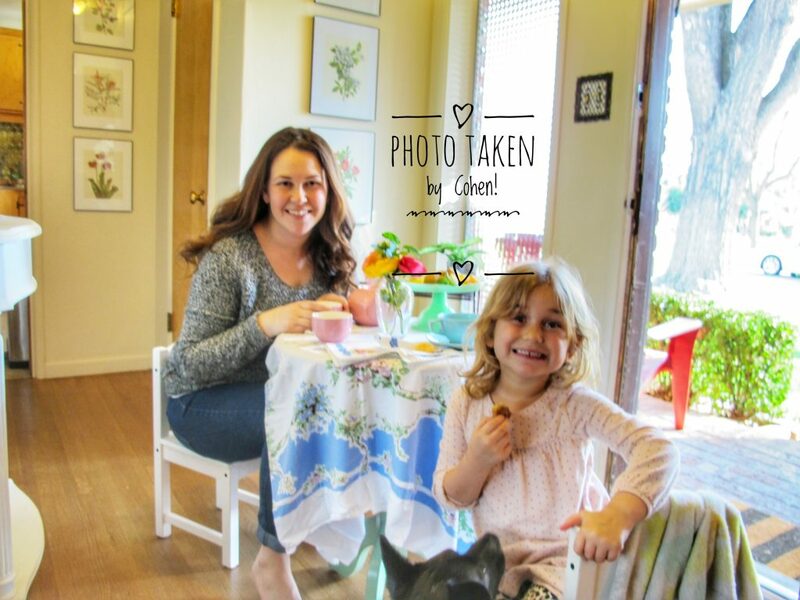 Even now as an adult, I still love having tea parties and visiting tea rooms, though it’s not just about drinking a delicious hot liquid, it’s also about the conversations and the event itself! So pinkies up ladies, because it’s tea time! 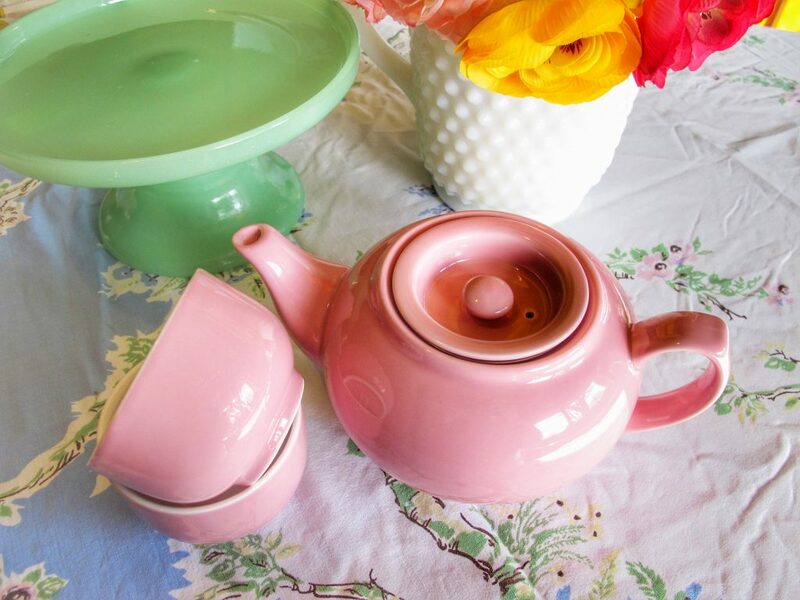 Last week I purchased this adorable pink (of course) PersonaliTEA pot with matching cups and a couple different loose leaf teas and cookies from Adagio Teas and we were not disappointed! I’ve become so lazy with my tea bags and have sadly strayed away from loose leaf. This was a refreshing reminder how much better loose leaf tastes! 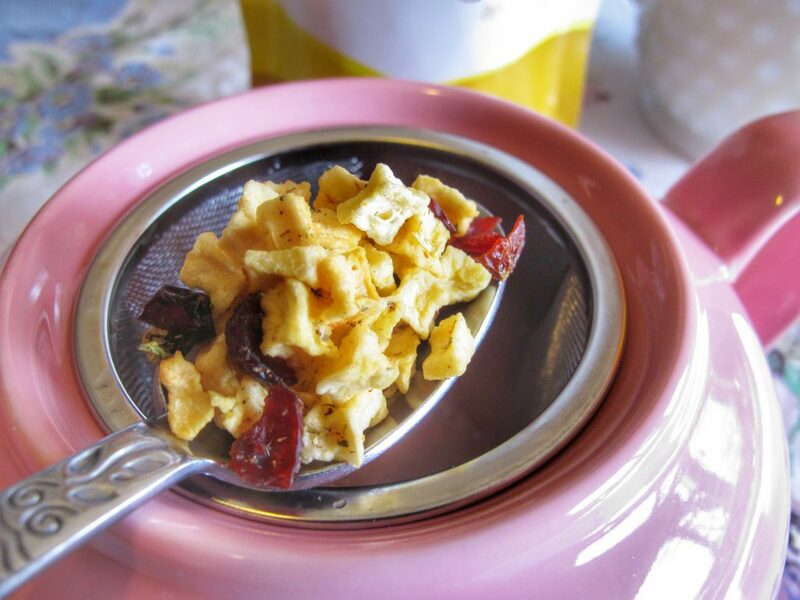 *Side note: Did you know that tea bags were an accidental invention!? Me either! Apparently around 1908, Thomas Sullivan a New York tea merchant started sending tea samples in small silk bags instead of the usual tea tins. This confused people, who then just added the whole bag to their water. Thus was born the tea bog. Mind blown. You can learn something every today. But sadly the tea bag doesn’t allow for full flavor and nutrients that loose leaf does. 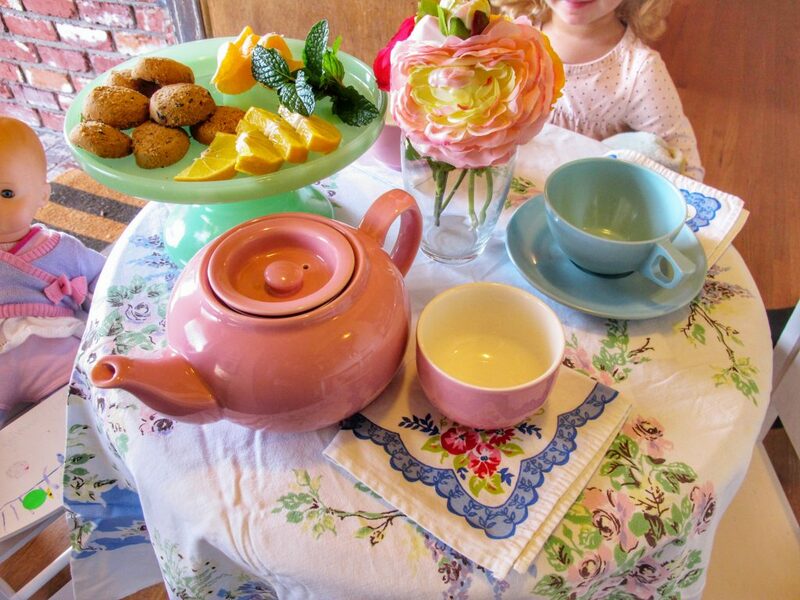 Plus, I think Emmy and I had as much fun setting up our tea party with my favorite vintage tablecloths, floral napkins and jadite cake plate! 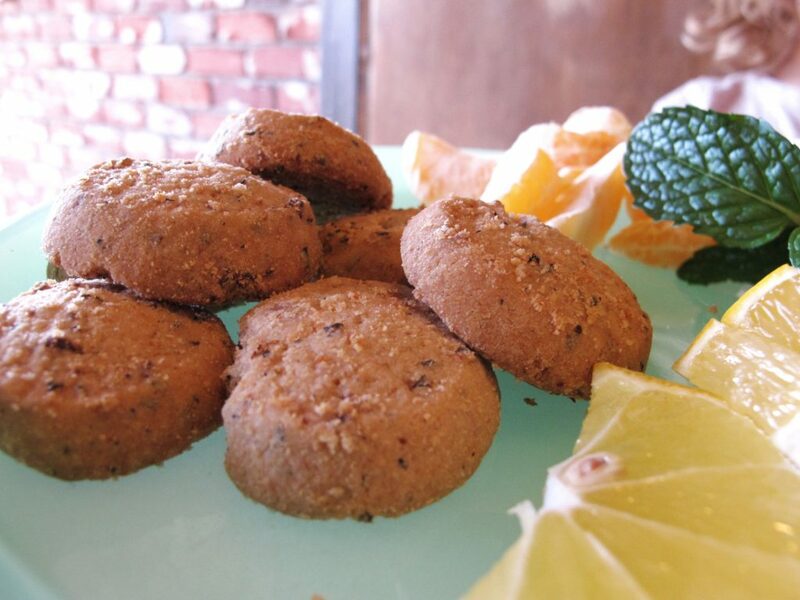 She added the silk flowers and mint leaves, while I added the Berry White tea cookies also from Adagio….I will neither confirm or deny that we ate the whole bag of these buttery rounds from heaven. 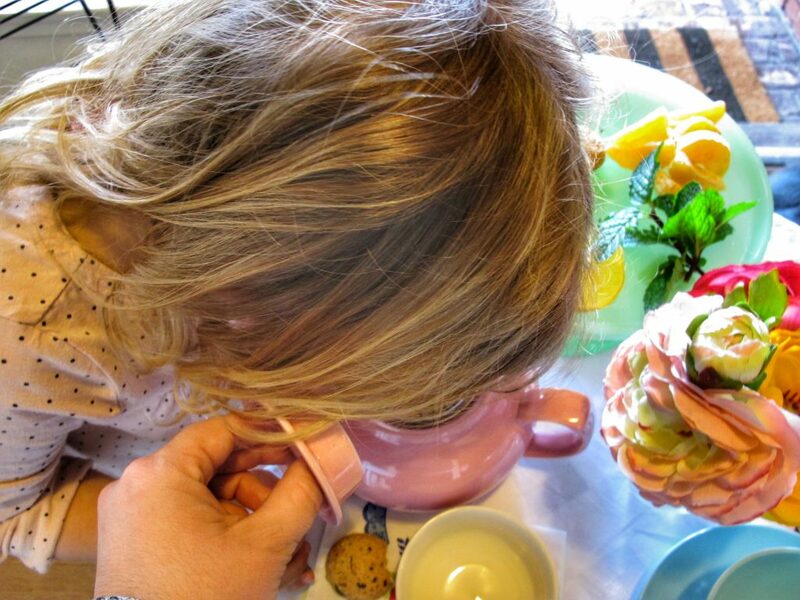 Best part of this afternoon tea was spending it with my sweet girl! She invited her baby, who happily didn’t eat any of our cookies, and we talked about her day and the weather and how much we love cookies. 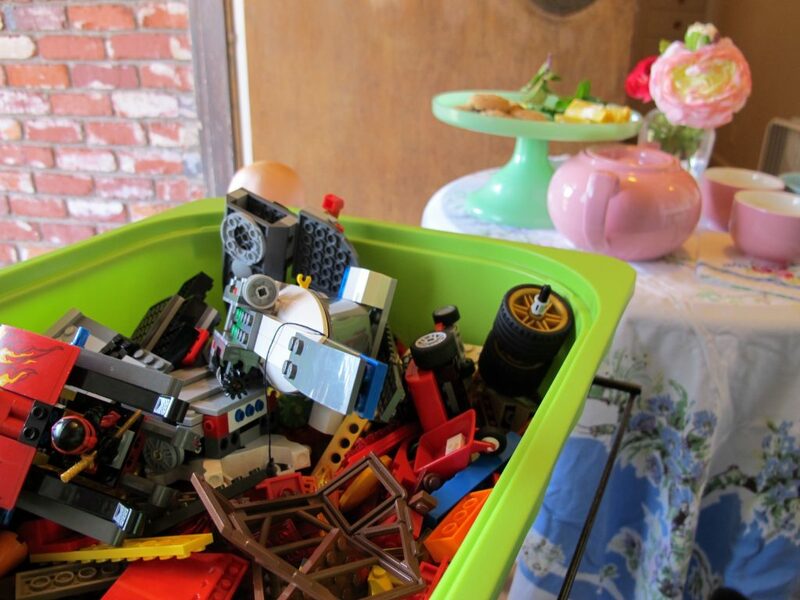 An invite was even extended to Cohen, but the only with the promise of LEGO tea time and a share of cookies, would he come. Of course I agreed! It was all around a relaxing afternoon, with great tea, amazing company and cute conversations! We still have a couple different bags of new Adagio loose leaf teas to try and thankfully more cookies left! Now the biggest problem is deciding which Vintage tea tins I want to use! 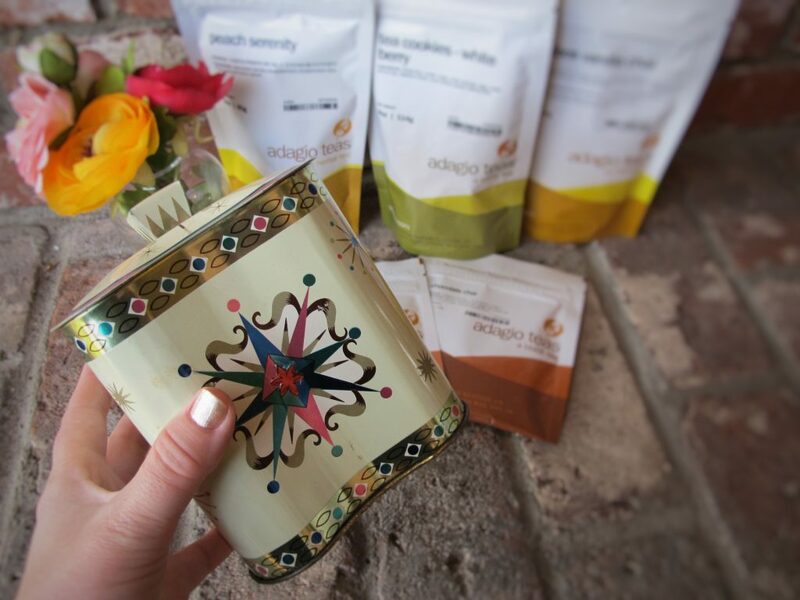 Thank you to Adagio Teas for Sponsoring such a fabulous afternoon tea time!